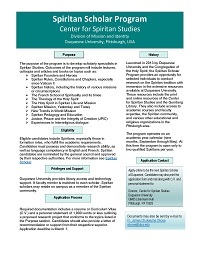 Launched in 2013 by Duquesne University and the Congregation of the Holy Spirit, the Spiritan Scholar-in-Residence Program provides an opportunity for selected individuals to conduct research on the Spiritan tradition with immersion in the extensive resources available at Duquesne University. 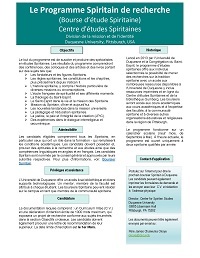 These resources include the print and online resources of the Center for Spiritan Studies and the Gumberg Library. They also include access to academic courses and faculty expertise, the Spiritan community, and various other educational and religious organizations in the Pittsburgh area. For more information please reference the brochures listed below. CLICK HERE to view past Scholars' lectures. 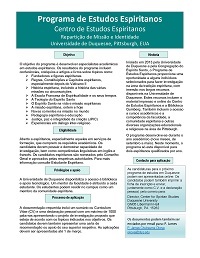 Apply online to be the next Scholar-in-Residence at Duquesne.